Very clear; you are either a leader or you are not! And a good leader will show his wounds so that people can learn from a leader’s struggles not just his strengths. This is so true Dennis; it seems like in leadership, many times, we find ourselves doing the oppositive of what you you just said! I heard somewhere that a leader in the world is He who is served by many, but that the leader in the church is He who serves many. Paul stated that it is the will of God that the father will treasure for his son, and not the son for the father. God called Moses for the people of Israel not the other way around. Last time I check a sheperd don’t lead his sheeps by going in front of them but by coming after them from behind. Thank you Angel for this subject. For there is something fundationally wrong in the new testament church about leadership. In my humble opinion (may God have mercy on my soul) the problem lays upon our definition of ministry. I’ll share mine with you and Dennis. Neh. 2:10 “But when Sambalat the Horanite, Tobias the amonite oficial heard of it they were deeply disturbed that a man had come (not to build the wall) but to seek the good of the people of Israel”; 2Timothy 2:10 “For I endure all things for the sake of THE ELECT, so that they can obtain the salvation which is Christ Jesus with eternal glory”. my point: In the work of the ministry the key is not How much you love God, but How much you love people! Its not about the call, its not about the vision, its not about the ministry, its not about sucess and its not about reputation. It is about loving what God loves the most people. For God loves people more than anything. By the way; God has call upon us not to be sucessful but to be faithfull (Mother Teresa). I don’t know about leaders. But this I know I have been fatherless since I was nine. Godly loving fathers we need. I hope there is one out there who can pastor me. I truly needed. Hello Pacheco; that quote perhabs tells us the heart of a leader: “A leader in the world is He who is served by many, but that the leader in the church is He who serves many.” On a personal note Pacheco, my heart goes out to the fatherless. In your case as I see what you write and say, it is obvious who your Father is. God bless you my brother! Thanks Dennis. What a biblically sound way to comment on this point. Indespensable Leaders. To think that I am IT! foundational, indispensable and ireplaceable. To the point that I am the church and the church is me. Nelson Pacheco’s Ministries! come on there is something very wrong.. I believe in the Man of God. I believe he is precious, valuable and a very important part of God’s work. I respect him, appreciate him and care for him in every way and I believe he ocupied a very godly place in God’s kingdom. But its time to find the way not to re-difined him, but once and for all difine him and his ministry according to sound doctrine based on biblical thruth. For this issue is a very ugly one. The situation “I speak in general terms” is completely out of control my Bro Dennis. There is no need for godly character is not required or the need to follow the requirements given by the Apostle Paul in 1st and 2nd Timithy and Titus or perhaps there is no true reverent fear of GOD in us. Thank God there is hope! because we all know that the last move of GOD is a purifying one; for Christ is coming back for a bride (church) withou wrinkle or stain! Amen!!! At the end I believe that the real problem is not so much the ignorance of those leaders who stand upon their own definition of leadership and not upon one supported and sustained by biblical thruth; but more than anything the real problem is the sad ignorance of a congregation or followers who they themselves care not for sound doctrine and so they don’t have the capacity to hold accountable anyone who stands in front of them proclaming anything that looks like the Gospel. We most become to be like the people of Berea before is too late. But first we most be like them, a community who truly cared about the message (the Gospel) more that about the messanger if you know what I mean my Bro. I know what you mean, Pacheco. But I think you underestimate the extent to which congregations are influenced by their leader’s vision, values and virtues (even vices — wittingly or unwittingly). 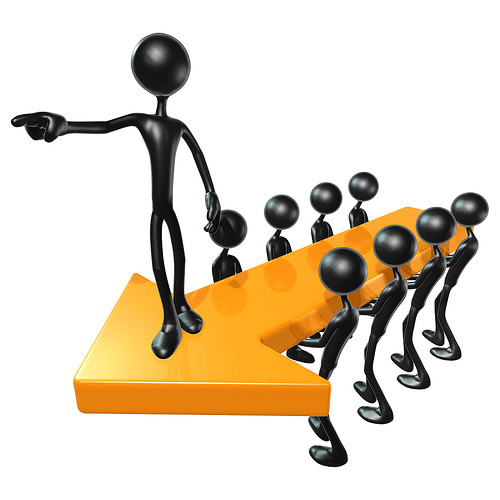 A leader’s disproportionate span of influence demands they be rooted at the core.